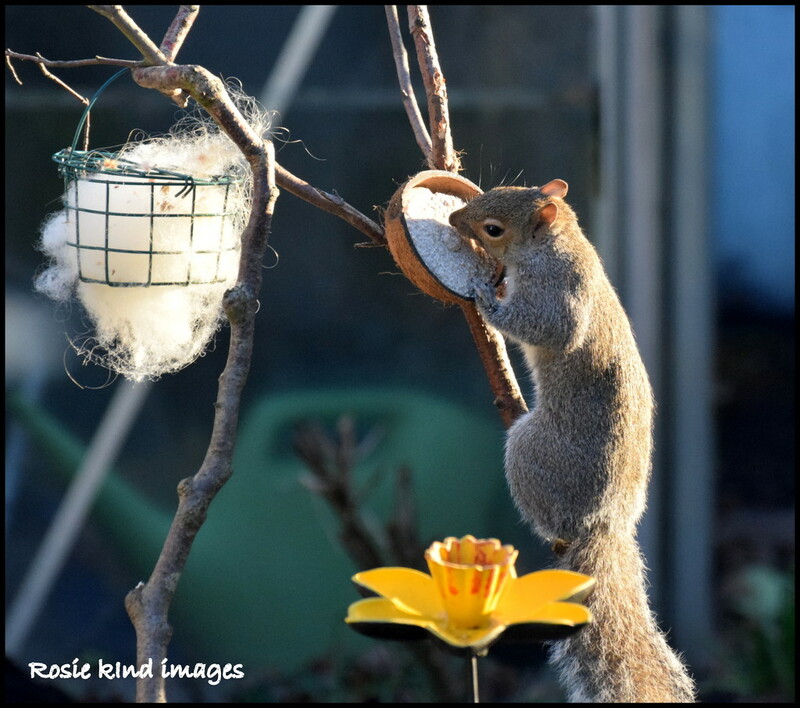 I looked out of the kitchen window and Squizzer was stealing the suet again! Naughty boy! He did look rather lovely in the sunshine though. I am off to my daughter's as she is giving me a birthday dinner early as she will be at work on Thursday so I might have to catch up later. great capture with the backlighting. Enjoy your dinner! Lovely lighting on this little squirrel, so sweet in someone elses garden!! They are very naughty but they’re also very photogenic.